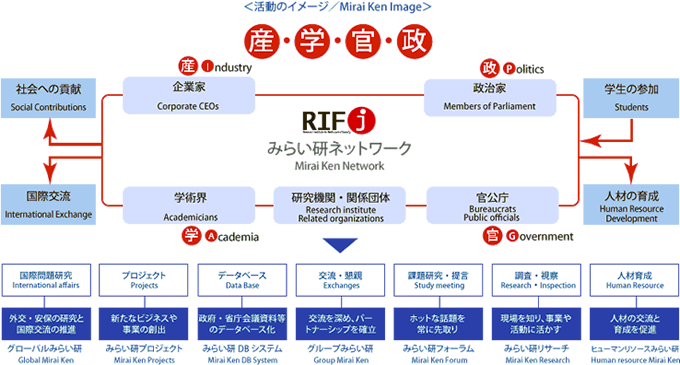 Mirai Ken Network(Industry, Academia, Goverment and Politic) is to expand the voriety of based on the seven program. 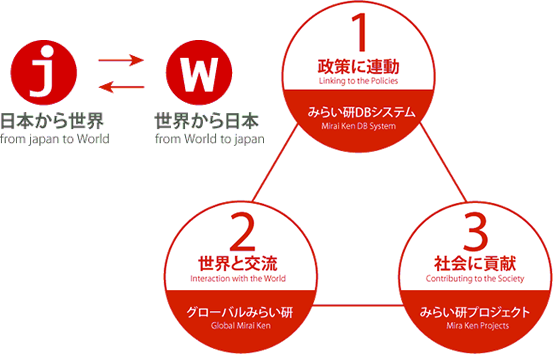 “Nihon Mirai Ken” has been working based on the three concepts of “Linking to the Policies”,”Interaction with the World”,and “Contributing to the Society”. And “Nihon Mirai Ken” will support from various questions, requests and actions in various capacity. “Mirai Ken DB system” is a system collectin the real time database from ministries and goverment. 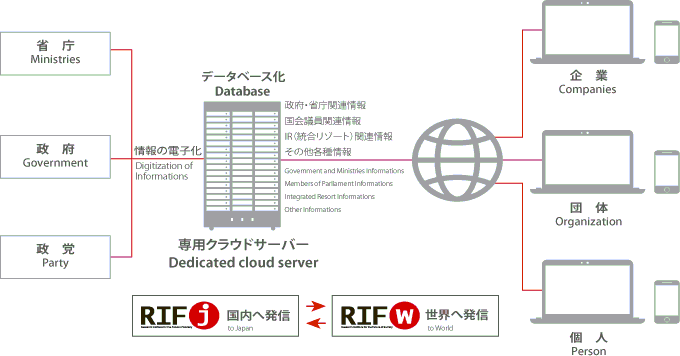 it aims to collect database of not only for Japan, but policy data of the major countries of the world. 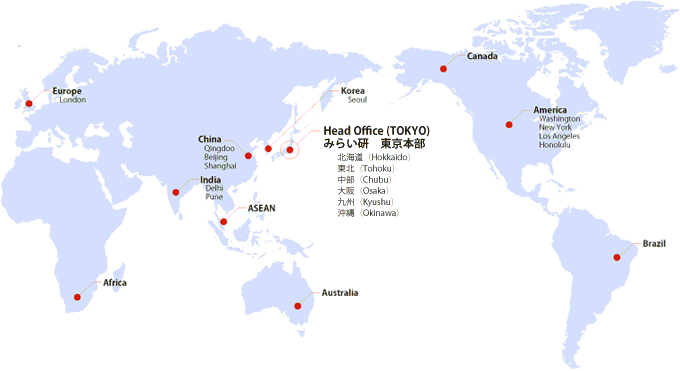 “Nihon Mirai Ken” is set up not only in the major regions of the country, but also has overseas presence. We are strengthening global perspectives with cooperation from people from various fields in Japan and the world. 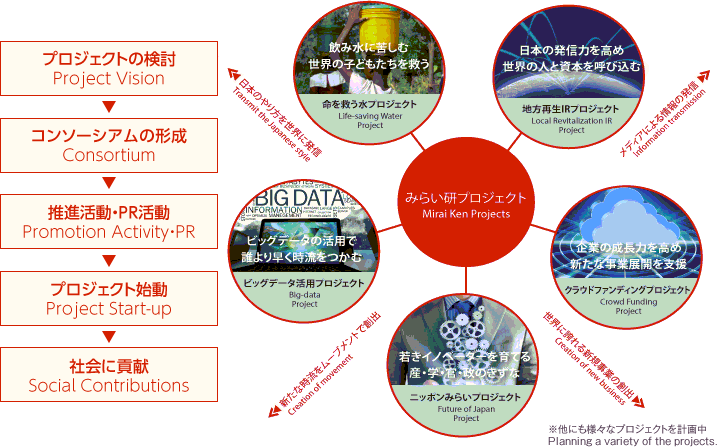 “Nihon Mirai Ken Project” aims to resolve major issues that are of national and international importance througn participation of everyone.